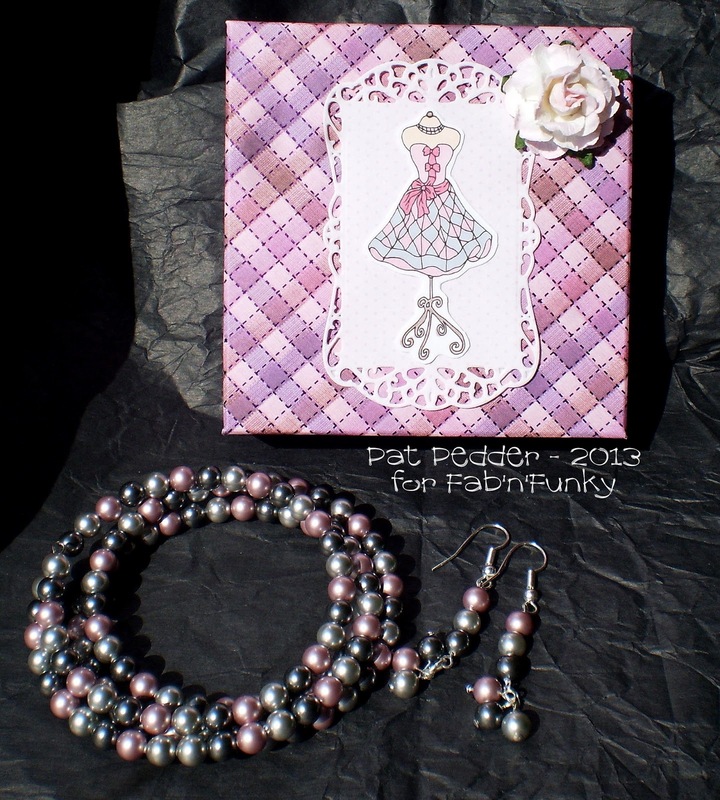 Gorgeous earings and bracelet Pat and the fab card to match will make a lovely combined gift for someone. 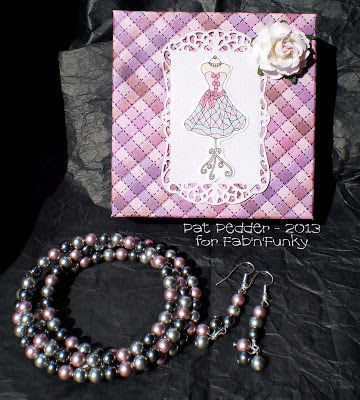 That's a very nice image pat and your beading is gorgeous, I imagine the colours look even better in real life. Your jewellery set is stunning, Pat. I love the colours and what a great idea to use the image on a box. I think this image has been a firm favourite with the DT! Well it only stands to reason that since you make beautiful cards and your design work is so grand that you should be able to make beautiful jewelry too! Well you did and I am not one bit surprised. I love the colors you selected. Have you made jewelry before. Really nice work Pat.